The plan always begins at work. A small match lit in a cavern. The walls of which reflect vague ideas and a smattering of light for my planned day off. Throughout the course of the day, the flame of the match grew brighter, or my eyes grew accustomed to the low light to see a perceivable future. The path lead deeper into the mind’s eye and distanced itself from what I was doing with my hands. My automated flesh body acted and reacted from memory as if it were reciting Shakespearian quotation, while deep within the abyss of the mind, I was on the water. Relaxed and retreated from the hectic world that is life. I was already gone while the tiny part of the brain worked in form and function, and social small talk. Chaos and the unknown ruled. New water awaited. Winter really has it’s downs for fishing. 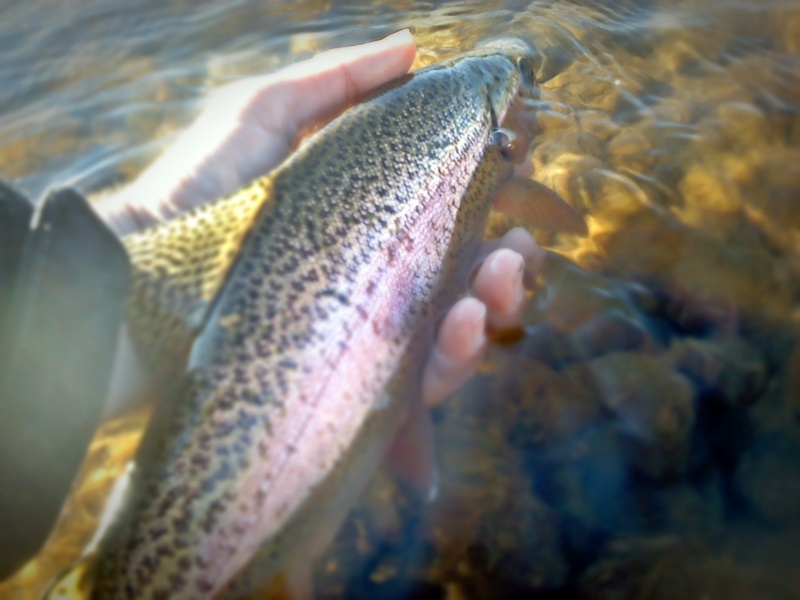 The cold, slow fishing, freezing guides, frozen water, busy tailwater, snow, and tiny bugs are just a small portion of winter woes. (Feel free to add to that list) With all of that being said, there is one major perk. 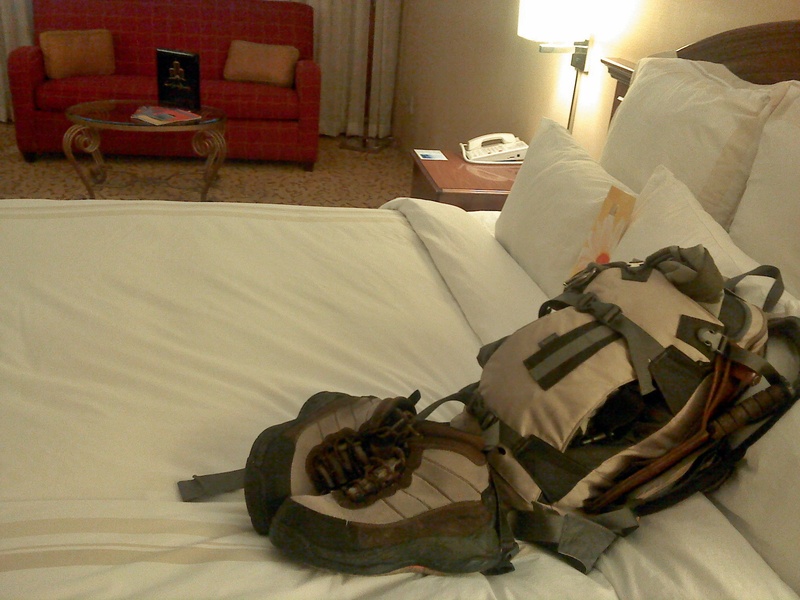 A hotel room. Hot shower? Check. Flat screen TV? Check. Delivered pizza? Check. Ultra cozy King-Sized bed? Über check. I didn’t remember waking up or getting lost in town, but I remember my first look at the water. It didn’t look promising. The 30mph wind ripped over the dam and through the handful of trees that spotted the riverbanks. 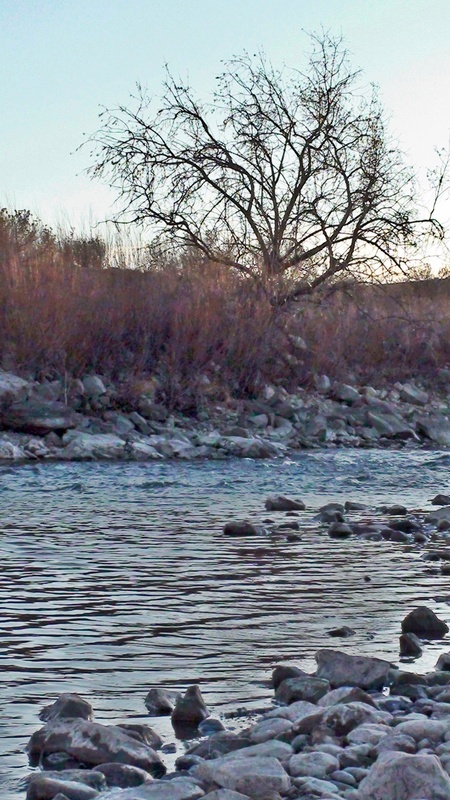 The wind made it very difficult to cast upstream, but the fishing proved to be right on the money. The wind blew into the core of me as I cast into it. My love for fishing pushed back by it, forcing me to get too close to my quarry to be comfortable. When the sound of the wind calmed, the eerie silence crept in. The trees popped and snapped as they swayed as the river grew louder. The sound was calming. You could almost hear the insects footfalls on paper-like bark that wrapped the willows. Small pieces of dirt fell into the water as I walked the bank in search of the perfect stretch of water. In no time I realized that I was there and that the analogy of life and the river was realized. Not much writing has been getting done on my end as of late. The winter season hasn’t been holding the fishing down. Already chalked up 4 good days on the water. Recently, the time to write a well thought out post is defeating me. The pen goes to paper and draws blank spaces to fill a word in the game of hangman. The Gallows are drawn and ready and the proverbial stickman awaits his fate. The stickman and I have something in common, our yet to be drawn bodies hang in wait until the next choice. It is work that has been taking time and filling my head as of late. Fishing and other cerebral activities such as writing have been postponed until I get into the swing of things. The swing that balances life (fishing) and work. It seems as of late, the more I become stressed, the more creative I become. The flies I have been tying are more fresh, relevant, new, and tied better than before. I’ve organized my supplies for once, because I realize that there must be some sort of chaos in my life for me to thrive. Now the seed of chaos is at work. Not bad chaos, but the need to keep putting it back into order like shuffled cards. You deal, play out the game, collect the cards, shuffle, and see what the next hand brings. Now, in the blog world, I shuffle. I’m betting big on my next hand. A weekend with the boss. High country with Erin Block of Mysteries internal. Night fishing with John T.
The weekend that lead me to Colorado. 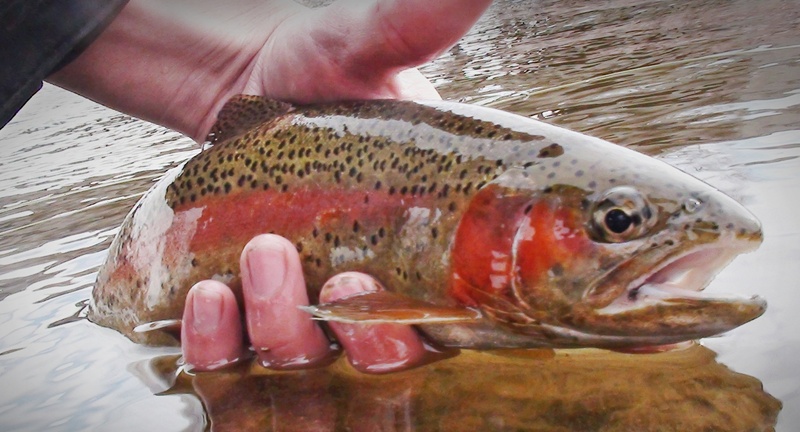 This year, fly fishing took a ritualistic turn for me. Not as far as bathing in the blood of a lamb and dancing around a fire, but I have realized the things I have done for years are quirks to my style of fishing. I blame this on the people I fish with and the fact that I am able to talk about fishing more. I’m stuck in my ways. This really opens a whole new post, but I’ll keep it to myself for now. It was a good year and I hope it goes the same or better next year.